#RiseUp4Rojava: From Global Action Days to an worldwide campaign against Turkish fascism. The invading Turkish state has been building a wall in 3 parts in the Kimare, Cilbil and Meryemin villages in an attempt to completely cut Afrin off from the rest of the region. Martyr Nubar Ozanyan Brigade fighters and their families commemorated the victims of the Armenian Genocide. Turkish invasion army continues its attacks against northern Syria. 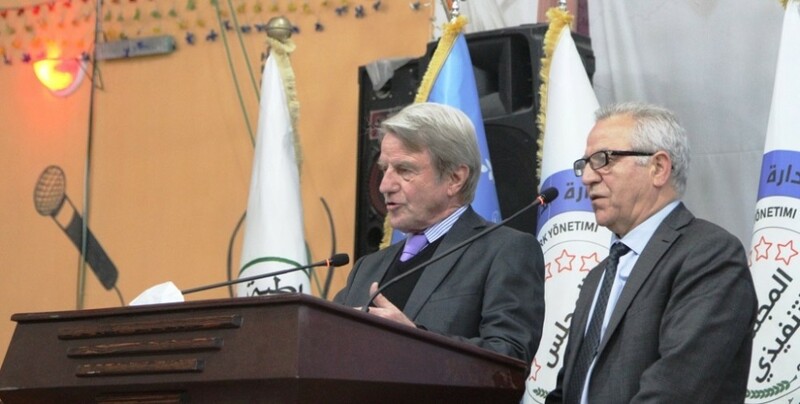 Victims of Armenian Genocide have been commemorated in Qamishlo, Rojava. The Martyr Nubar Ozanyan Armenian Brigade was declared on the anniversary of the Armenian Genocide. Invading Turkish state allied gangs attacked Armenian families in Bab on the anniversary of the Armenian Genocide. A demonstration was held in al-Hasaka to support the hunger strike resistance. The Turkish state continues its attacks against Rojava. Afrin Liberation Forces announced that 2 gang members were killed and 7 were wounded in Azaz. Prominent German news journal Der Spiegel published an article-analysis on Turkish state occupied Afrin. 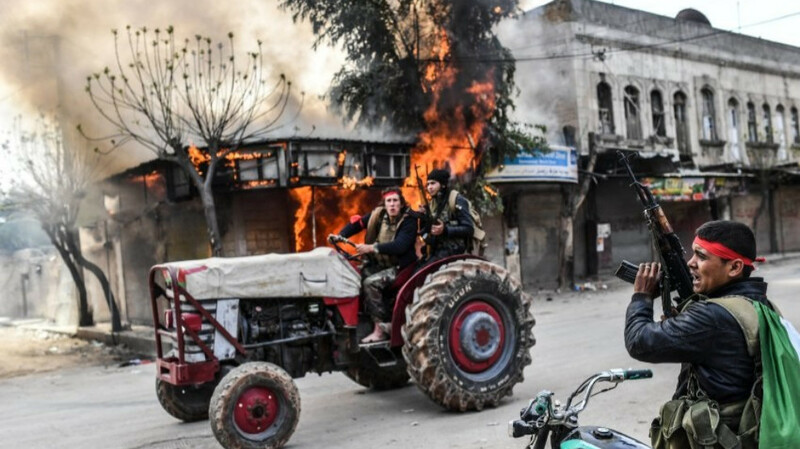 The journal pointed out that there is an ethnic and cultural cleansing going on in Afrin. The Turkish army is putting up a wall to include Afrin in their own territory. The invading army is also increasing their military bases and outposts near the city. At least two people were killed as result of an action against Turkish MIT in Azaz city center. Yesterday, thousands of displaced people from Afrin marched to a Russian base in the northern Syrian canton of Shehba and called on Russia to break its silence on the Turkish occupation of Afrin. Russia had enabled Turkey to occupy the canton. Co-chair of the Kobanê People's Council, Merwa Dirêi, says that the policy of the Turkish state against the Kurds is not new and that Ankara's Neo-Ottoman policy is meant to occupy more areas in northern Syria. 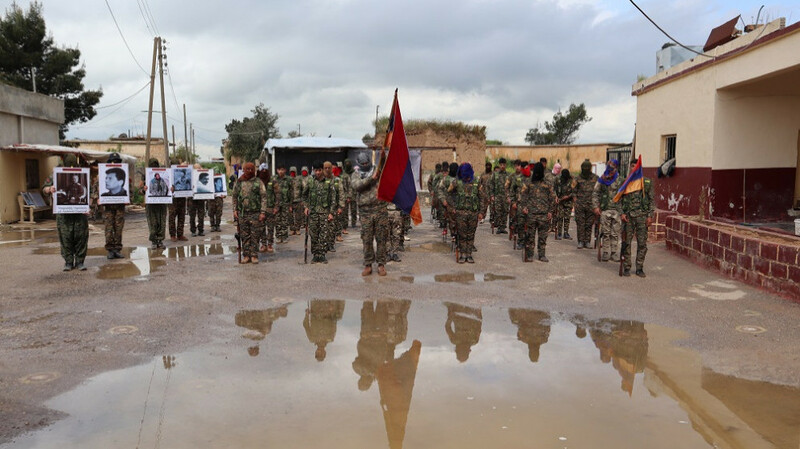 Northern and Eastern Syrian Armenians formed their own brigade called Nubar Ozanyan Brigade. The brigade will be officially announced on April 24, the anniversary of the start of the Armenian Genocide. At least six Turkish soldiers were killed and seven others injured in action by Afrin Liberation Forces. In Shera, the group targeted a Turkish military base. The Turkish state confiscates homes from the people of Afrin and settles gang members they brought in from Damascus in their stead. The Hol Camp Administration handed over a Yazidi woman and 2 Yazidi children rescued by the SDF to the Cizire Region Yazidi House. Kosovo Justice Minister Abelard Tahiri said the efforts to return some Kosovo citizens to Kosovo from Syria were successful. In the northern Syrian canton of Shehba, 2,000 people have been infected with the infectious disease leishmaniasis. The region now urgently needs international assistance to ensure adequate medical care. Refugees at the Erīş camp in northeastern Syria are suffering heavily from the consequences of the flooding and ignorance of aid organizations.